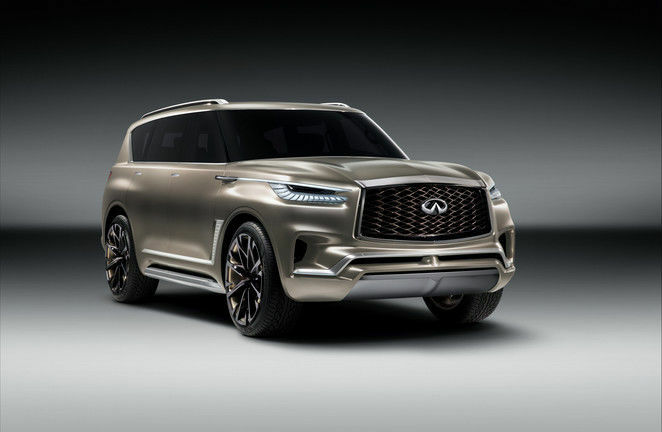 The Infiniti QX80 Monograph was certainly one of the highlights of this month’s New York International Auto Show. A design study at its core, the QX80 Monograph is what Infiniti calls the “ultimate expression of futuristic luxury SUV design. They are not kidding. Bold, massive, and muscular, the QX80 Monograph could also be described as elegant, upscale, refined, and simply remarkable. 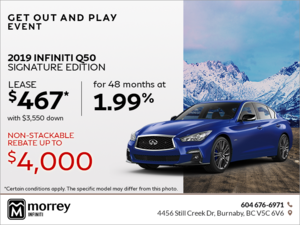 Like the 2017 Infiniti QX80 offered at Morrey Infiniti, there is nothing like it. The QX80 Monograph combines luxury with a commanding presence, no doubt about it. The Monograph design study is focused on a single area of design expertise, and it is ultimately aimed at creating the most impactful exterior design you can give to a full-size luxury SUV, while also ensuring that everything is functional. "The QX80 Monograph represents a detailed study into our expertise of exterior design. 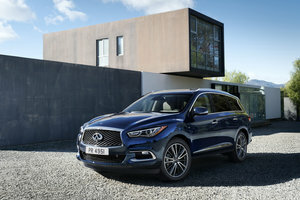 QX80 Monograph shows our concept of luxury and style on the road, and is an exploration into how we could enhance our future INFINITI offering in the luxury SUV segment,” said Roland Krueger, President of Infiniti. Infiniti has been testing various designs in recent auto shows. The QX50 is one example, the Q60 Black S unveiled in Geneva is another. But unlike those two models, the QX80 Monograph is focused solely on design. That said, the organic lines of the QX80 Monograph also have plenty of functionality packed into them. For example, the concept’s dimensions are huge (more than 5 meters in length and more than 2 meters in width and height), but the elegant lines make it seem a lot smaller than it actually is. Moreover, wind noise has been reduced by the flowing lines of the QX80 Monograph, and aerodynamics have been improved. There are air vents aft of the wheel wells that give the SUV a sportier look, but these are also functional as they reduce wind flow around the wheels, thus reducing vibrations and improving overall comfort. 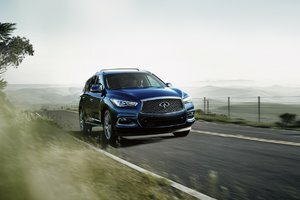 "The QX80 Monograph provides the opportunity to reimagine INFINITI's signature design DNA on a totally different scale. We sculpted our body pure, straight and horizontal, the muscularity both brute and sensual; part Rodin's Thinker, part Michelangelo. INFINITI 'carrozzeria' used svelte satin copper skin, set off by an ultra-powerful double arch grille with abstract structural mesh, distinctive and focused human eye signature headlamp, and iconic fender vent. Our designers continue to impress by finding new avenues for INFINITI artistry,” explains Alfonso Albaisa, Senior Vice President of Global Design for Infiniti. 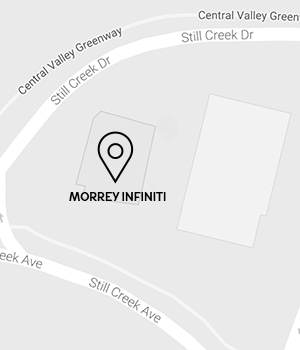 As we wait for Infiniti’s future design direction, why not come in today and discover the all-new 2017 Infiniti QX80 at Morrey Infiniti today!